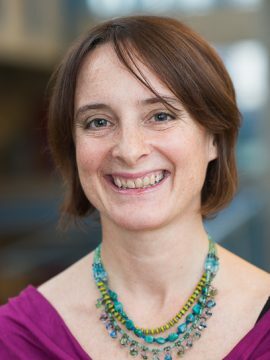 Rebecca Todd is an Assistant Professor in UBC’s Department of Psychology and a member of the Centre for Brain Health working in the area of Cognitive Neuroscience. She is currently a CIHR New Investigator (2016) and a Michael Smith Foundation for Health Research Scholar (2017). Before beginning her PhD in Developmental Science and Neuroscience at University of Toronto she was a contemporary dance choreographer and journalist. As both a choreographer and a cognitive neuroscientist she has been interested in how emotion influences attention, learning and memory. My research program focuses on neurocognitive processes underlying the interaction between human emotion and cognition in health and in psychopathology. It employs brain imaging methods and laboratory experiments to investigate how we process the affective salience, or emotional/motivational importance, of objects and events around us, and how such affective salience influences what we see, how we learn, and what we remember. It also focuses on individual differences in how we filter the world so that we are more likely to perceive specific categories of salient event (e.g., threatening vs. rewarding), and how such filters develop over time and influence behaviour, with major consequences for emotional health and wellbeing. Specific programs of research include investigation of neurocognitive processes underlying effects of acute stress or emotional experience on attention, learning and memory and on attentional biases that predict treatment outcomes in depression. My research employs a multi-method approach to study the development of complex cognitive/affective processes across the human lifespan. This includes use of EEG, fMRI, psychophysiology, eye tracking, and genotyping methods to assess how common genetic variations interact with life experience to shape brain activity underlying emotional filters for perceiving and remembering. Visit http://mclab.psych.ubc.ca/publications/ for a complete list of publications.